Kevin Macdonald, Owner, Big Daddy’s Scrap Gold Exchange & Fine Jewelry, Inc.
For almost 20 years, Big Daddy’s Scrap Gold Exchange & Fine Jewelry, Inc. has been a staple of the Jackson, Miss., area. With two stores in Jackson and one in nearby Canton, the shop has grown over two decades—purchasing new buildings, remodeling others and creating bigger, better showrooms. Macdonald credits part of the growth of his firearms business to GunBroker.com and its staff. Their presence at pawnbroker trade shows and dedication to educating the pawn shop industry about gun sales initially encouraged him to begin selling rarer guns on the site. “As time went on,” Macdonald said, “we got more computer-savvy and learned how to do it. Now we have an online department where we take pictures and have a full-time online sales staff member. 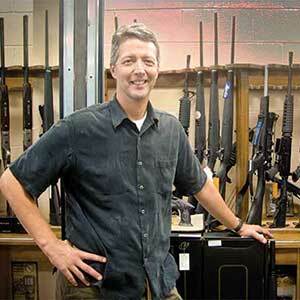 GunBroker.com allows third-party sellers to list items, and potential buyers to bid in online auctions. Every buyer or seller must be legally allowed to own firearms, and ownership policies and regulations are followed using licensed firearms dealers as transfer agents. 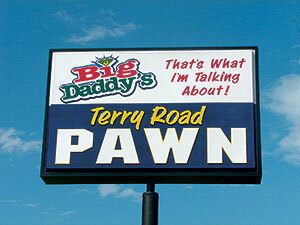 Big Daddy’s Scrap Gold Exchange & Fine Jewelry, Inc.
Macdonald said that before moving to GunBroker.com, it typically took six to seven months to turn around harder-to-sell items. “Now, it takes six to seven days. It’s the only e-commerce site we want to use. It’s easier to keep them on the Cadillac than to look around and do something else—the service is good, their guys are great and it’s easy to list.